ORDER NOW TO TAKE ADVANTAGE OF THESE GREAT DEALS! 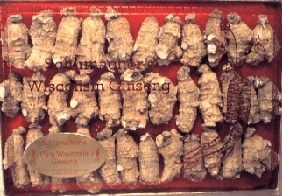 CAN GINSENG BE CARRIED INTO CHINA? 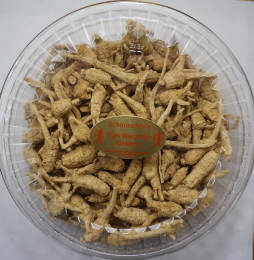 YES, THERE IS A RUMOR OUT THERE THAT GINSENG CAN NOT BE TAKEN BACK INTO CHINA. THIS IS JUST A RUMOR. AS LONG AS IT IS FOR GIFTS OR PERSONAL USE GINSENG CAN STILL BE CARRIED ALONG WHEN TRAVELING. WE HAVE NOT HAD ONE CUSTOMER CONTACT US TO SAY THEY HAVE HAD ANY PROBLEMS. These Slices Were Sliced From The Long/Small Roots. Excellent For Personal Use In Tea And Soup. These Are The Short/Small Roots That We Did Not Trim The Prong/Branches Off Of. 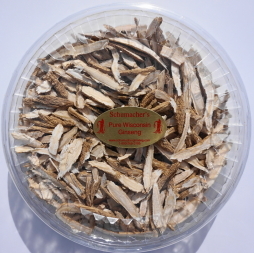 Please Note That These Are The Very Small Short Roots And Will Average About 140 Roots Per 8 Ounce Container. 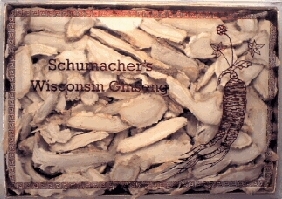 When ordering from Schumacher Ginseng LLC you can be guaranteed that you are getting only 100% pure Wisconsin grown ginseng. 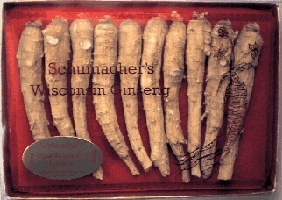 We have built our reputation as a company that can be trusted because we ONLY sell Wisconsin ginseng and that is what you can be guaranteed you are receiving from our family run business. 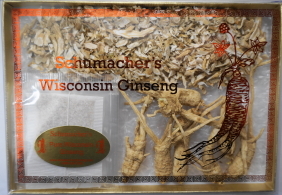 The quality of our Wisconsin ginseng can not be matched and we continue to set the highest standards for the ginseng that we package and sell. As always, if you ever have any questions feel free to contact us.